A 2-day Theatre Festival was organised in Kathmandu on 27th and 28th May by the the Embassy of India and the B.P Koirala India-Nepal Foundation with the highly renowned Indian director, Shri Feisal Alkazi and his Ruchika Theatre Group. An author, educationist, social activist, costume designer, master trainer and theatre director, Feisal Alkazi is the son of the legendary theatre director, Ebrahim Alkazi. Having worked for 45 years, Feisal Alkazi carries forward the legacy of his father through the Ruchika Theatre Group. The festival commenced with workshop for adults and kids conducted at Moksha Live, Jhamsikhel on 27th May. The workshops were held by the Alkazi family and other artists of the Ruchika Theatre Group and saw participation from 200 adults and kids. The participants showed an enthusiastic response and requested for more such workshops to be held. 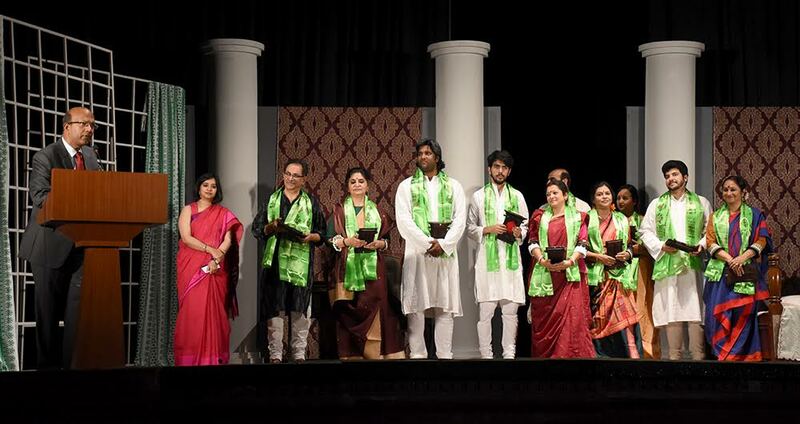 On 28th May, Feisal Alkazi’s play “A Quiet Desire” was staged at the Army Officers’ Club, Bhadrakali. 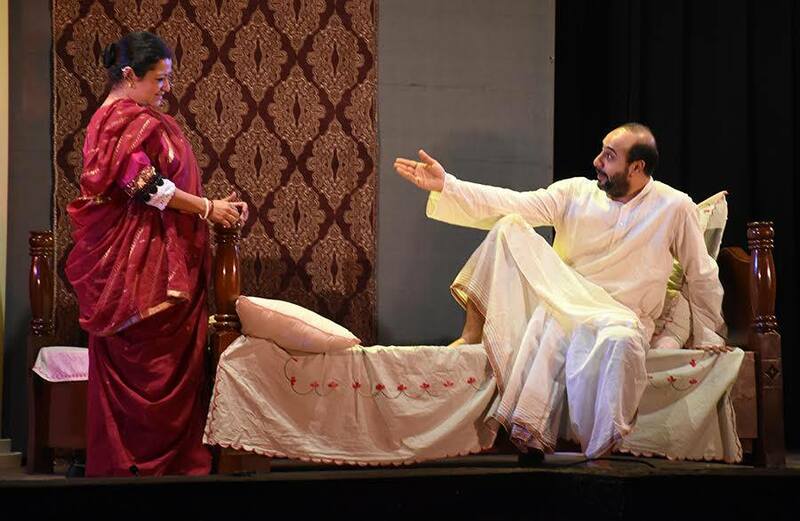 The play, based on the life of the great Rabindranath Tagore, explored the complex relationship between him and his muse and her eventual dive into depression and suicide. 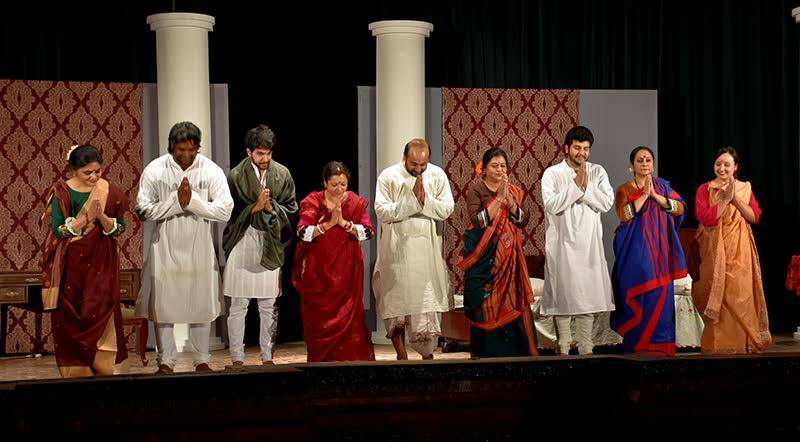 The dynamics of the family were beautifully written and brought to life by the artists of the Ruchika Theatre Group. Sri Jitendra Narayan Dev, Hon’ble Minister of Culture, Tourism and Civil Aviation graced the occasion as the Chief Guest. He congratulated the BP Koirala Foundation for its efforts at binding the people of India and Nepal through fostering cultural ties. The play was attended by nearly 700 persons including school children, theatre personalities and media persons. The performance by the Alkazi-led group received a huge applause from the audience. The BP Koirala Foundation, which is in its 26th year now, endeavours to explore and promote linkages between the people of India and Nepal through initiatives like these.